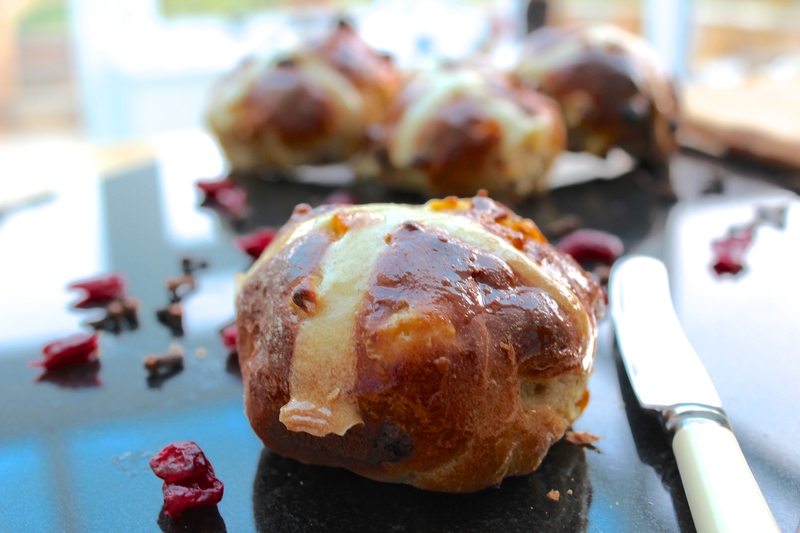 Perfect Hot Cross Buns, spiced bread dough studded with cranberries, sultanas and apples. Perfect for an Easter Breakfast. Easter is most certainly on its way; even at Christmas you do not see such an abundance of chocolate in the shops! As well as chocolate there are fluffy baby chicks and pastel table decorations aplenty. 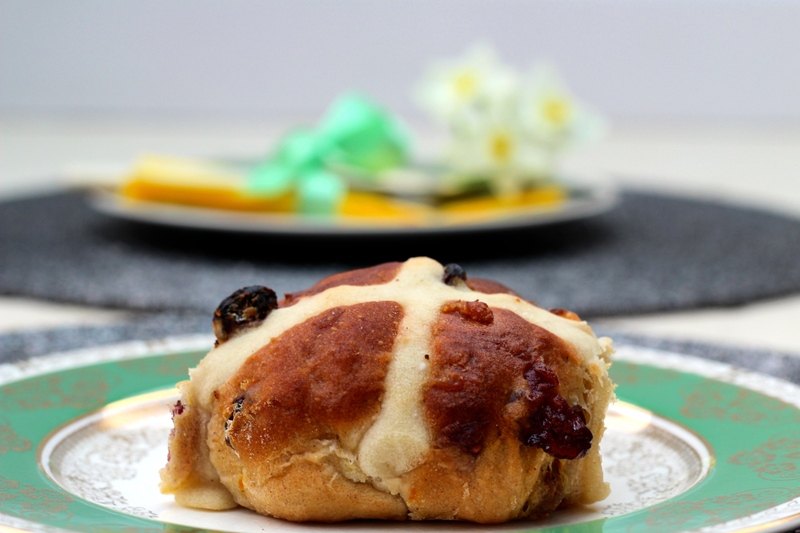 But nothing says Easter to me as much as the piles and piles of Hot Cross Buns sold everywhere, as these still remain one of the few foods that you can’t buy all year round. 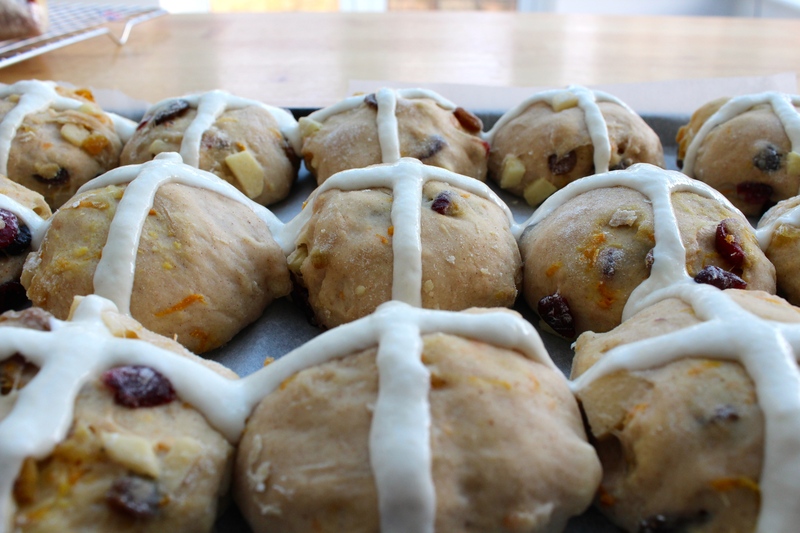 I haven’t eaten a shop bought Hot Cross Bun for a long time, not being able to eat the butter they are usually full of, so this year I thought I would tackle making them from scratch – and what a great result! I’m not going to lie… they take quite a long time and a lot of organisation but it is so worth the effort. This recipe suggests proving the dough overnight which means that if you want to eat them for breakfast on a Sunday (before midday! 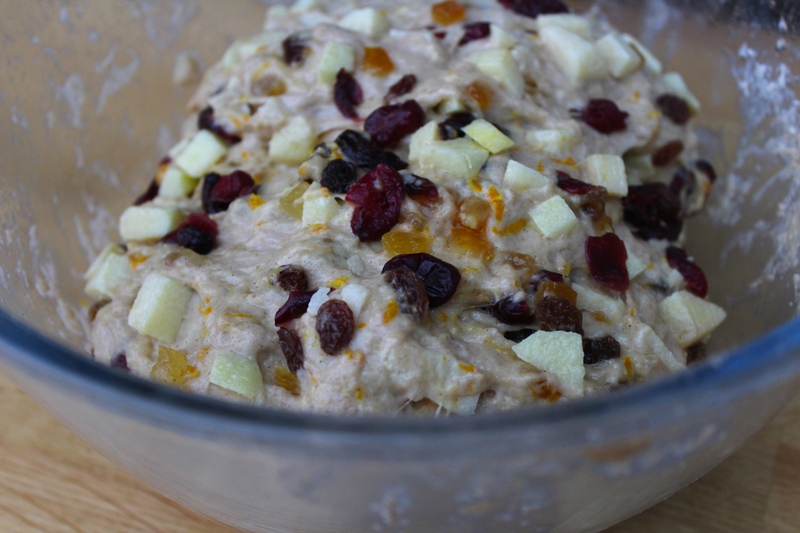 ), you’ll start the dough on Friday night and bake them on the Saturday. 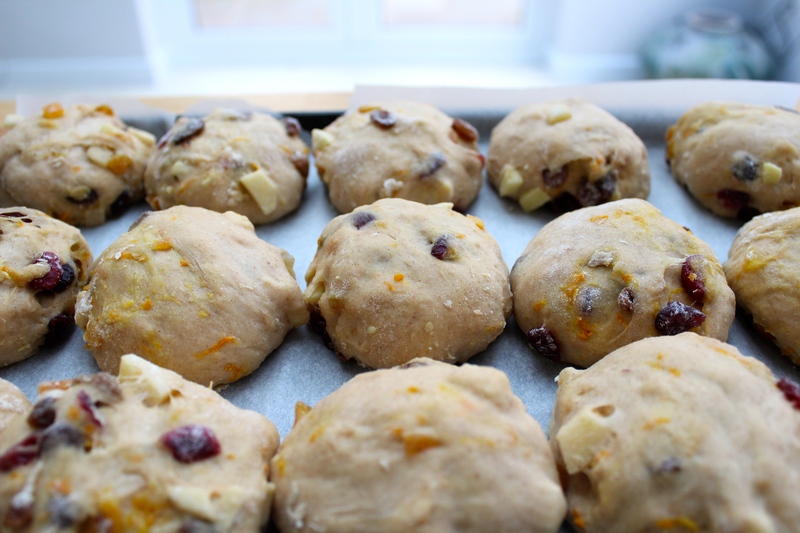 The effort is really worth it though; the dough becomes light yet chewy, and the spices have time to permeate the dough ensuring their flavour stands out against the sweet fruits. 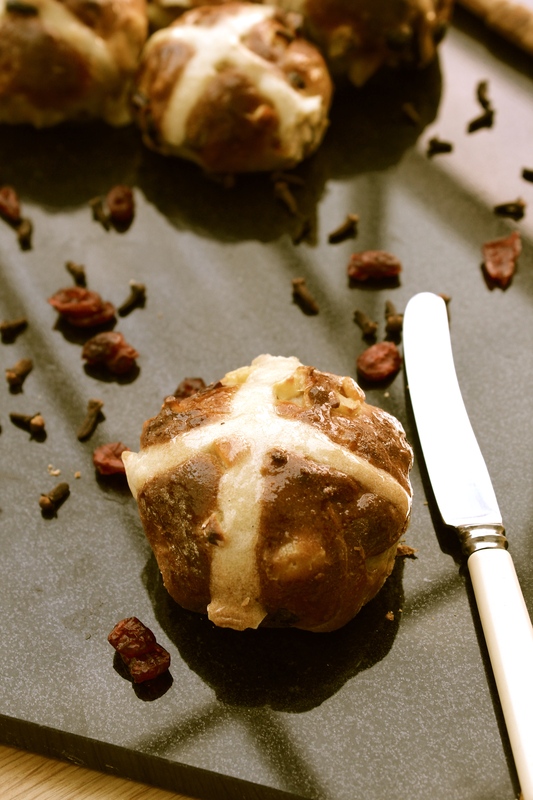 These Hot Cross Buns are a mixture of the traditional and the new; more fruity than usual with cranberries, apples and sultanas, and very aromatic with orange zest and mixed spice instead of just cinnamon. 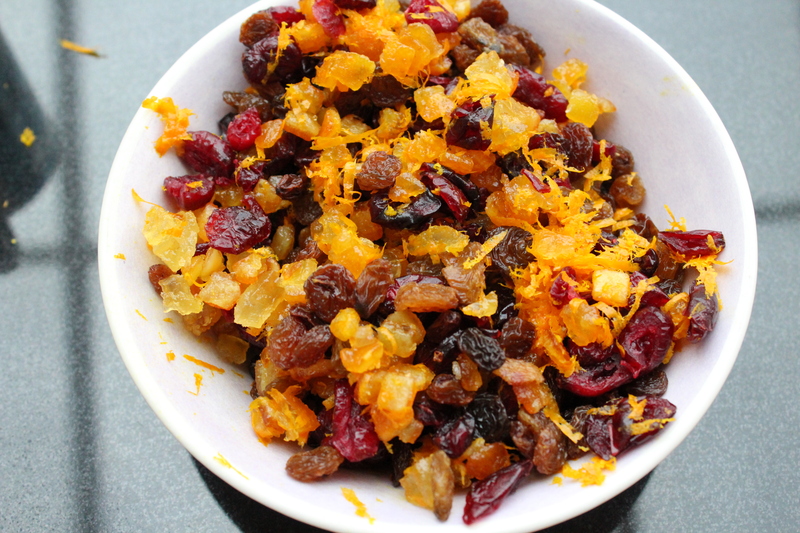 You can easily play around with these flavours and add or take away as you wish – for example, add ground cardamon instead of mixed spice, or change the flavours all together and replace with chocolate, cranberry, cinnamon and ginger for a twist. Add the flour, sugar, spices, salt and yeast to the bowl, being careful to place the yeast and salt at opposite sides. Add the butter, eggs, milk and half the water and use your hands to incorporate it into a rough dough. 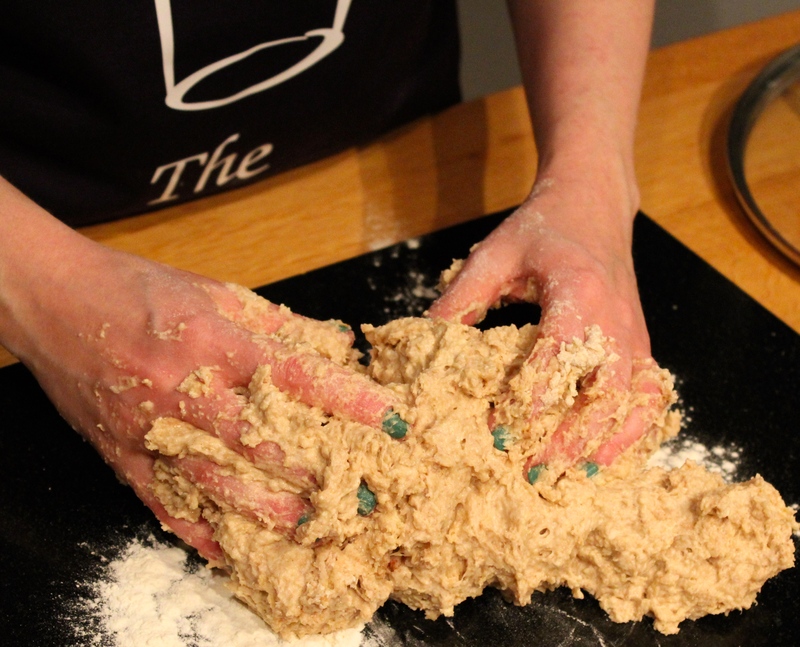 Continue to add the remaining water until the dough is soft, sticky and picks up all the flour from around the bowl. Tip the dough from the bowl onto a lightly floured work surface and fold the dough into itself until all the air has been knocked out. Divide into 15 equal pieces and shape into balls (pull the edges of your piece of dough into the centre until it forms a ball shape. 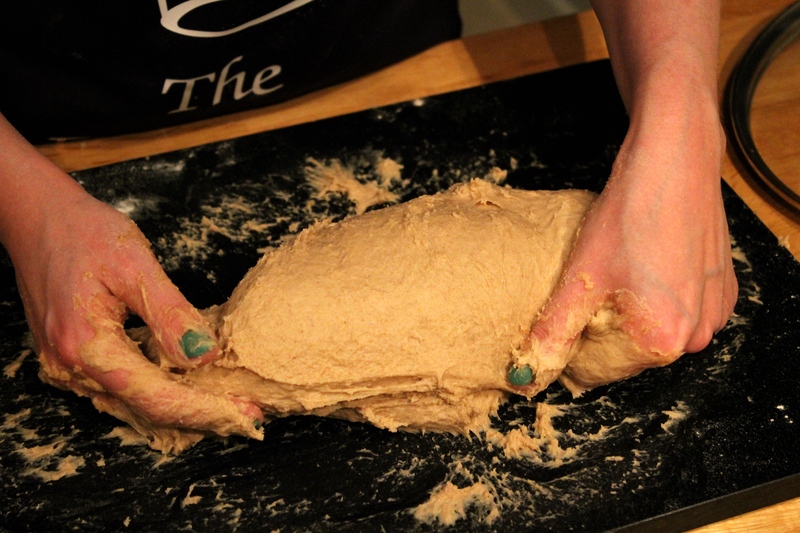 Pinch the edges together, flip it so the edges are now on the work surface, and then use the sides of your palms to cup the dough and pull it down so it is shaped into a neat ball). Bake for 15 – 18 minutes until golden brown. Gently warm the honey and water together and then brush over the tops and sides of the buns to glaze them (if you are reheating the buns, don’t glaze them yet – do this straight after reheating otherwise they will lose their shine). Cool on a wire rack. I really miss these from when I lived in Australia. May just have to make them this afternoon! Thank you!! I’ve read up a bit on the Liebster award and am honoured 🙂 I will write up my post this weekend. 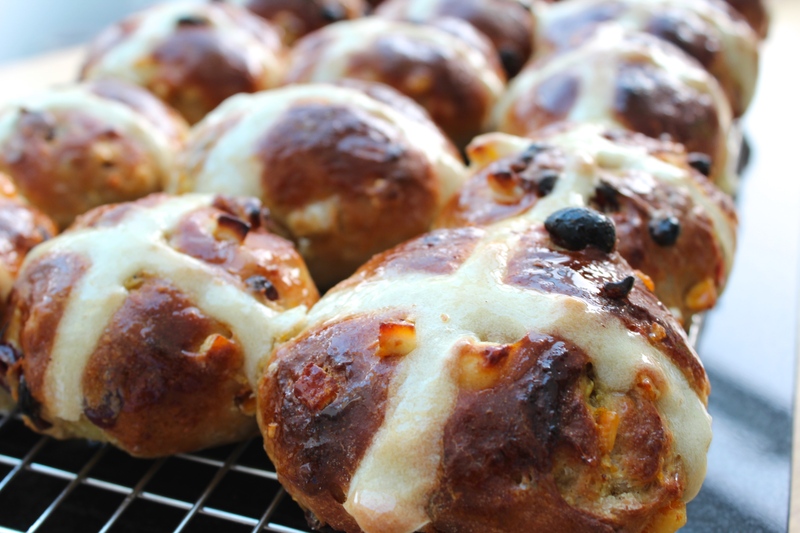 And I hope you did make these buns… now Easter is over I’m considering making them again minus the crosses… they are just too tasty to only be eaten once a year!